The Fuller Missiology Lectures is an annual conference held by the School of Intercultural Studies. 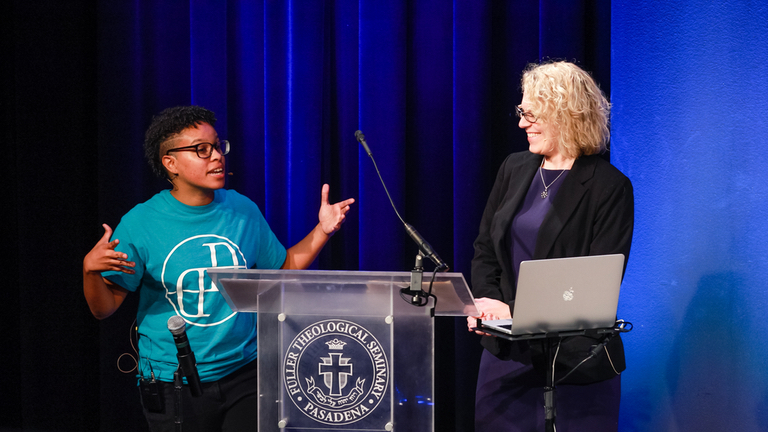 Its 2018 theme, “Global Arts and Witness in Multifaith Contexts,” explored the role of the arts—song, dance, drama, narratives, and visual arts—as a means for cross-cultural understanding and new opportunities for Christian witness in multifaith contexts. The conference was hosted by Roberta R. King, Professor of Communication and Ethnomusicology; William A. Dyrness, Senior Professor of Theology and Culture and Dean Emeritus; and Amos Yong, Professor of Theology and Mission and Director of the Center for Missiological Research. 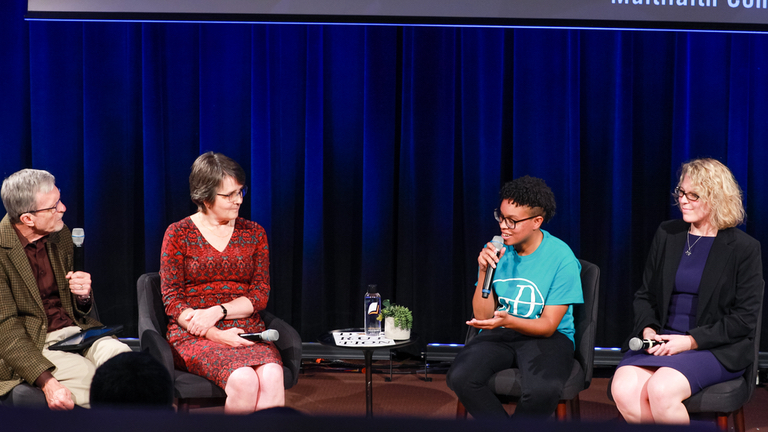 + Michelle Voss Roberts, professor of theology at Emmanuel College, Demi “Day” McCoy, hip hop artist, and Kirsteen Kim, professor of theology and world Christianity, Dalit culture, Hip Hop, and the intersection of hymnody and justice. They are interviewed by William Dyrness, senior professor of theology and culture and dean emeritus of the School of Theology.